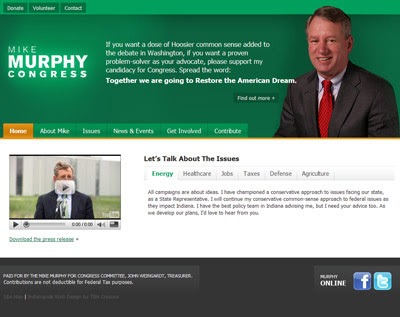 TBH Creative was hired to design and develop the web site for Mike Murphy Congress. 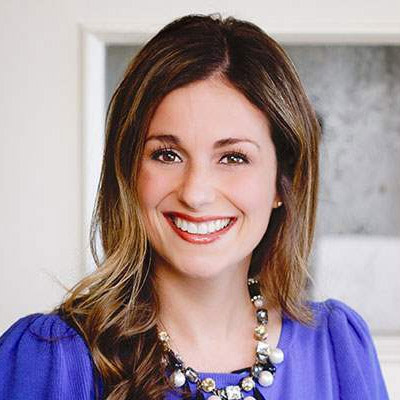 The web site was developed to offer candidate information and allow users to donate and get involved. The web site uses our custom Content Management System (CMS) to allow for growth and easy updates by staff. Visit the web site to learn more about Mike and his opinions on important issues. 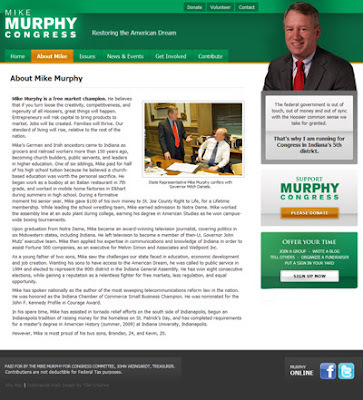 About Mike Murphy for Congress: On May 28, 2009, State Representative Mike Murphy announced his candidacy for the 5th Congressional district seat currently held by Congressman Dan Burton. He said, “Burton has served but he has not led.” Mike Murphy is a free market champion.